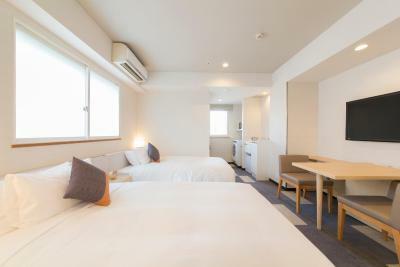 Lock in a great price for Tokyu Stay Tsukiji - rated 8.5 by recent guests. 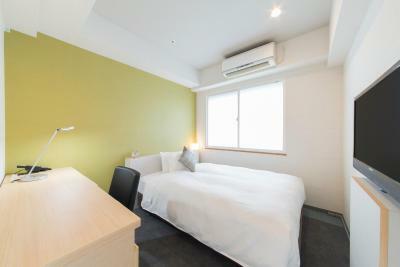 Location was excellent, within walking distance to the famous Tsukiji outer markets, and bus stops. Metro station is of a slightly further walk away. 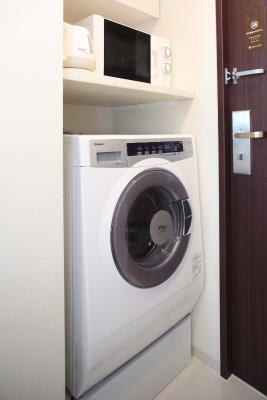 The rooms are packed with amenities including a washine machine/dryer, for a very reasonable price. The single room I had is basically the size of a double, which is great. 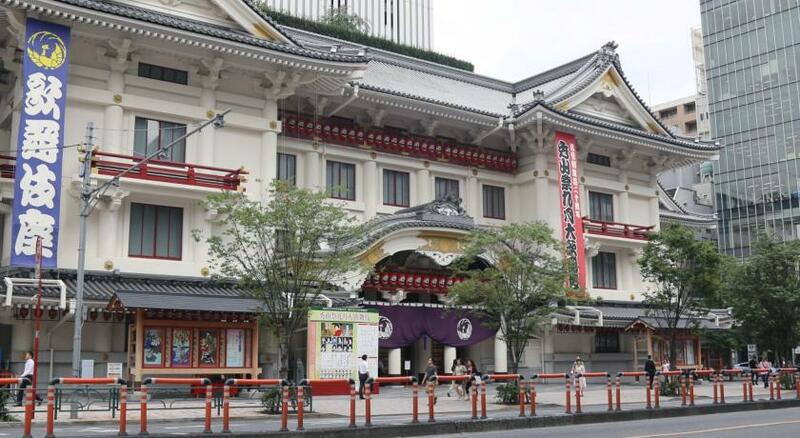 Good base to explore Tsukiji & Ginza. Would consider staying here again. Washer/dryer in room really handy for a longer stay. Location is excellent, right in the centre of Tsukiji market, but still quiet. The staff are extremely friendly and helpful too. Great location for Tsukiji Market. Reasonably close to Ginza as well. Great location, excellent staff, room perfect for short stay. Great location, clean, functional room. Everything required readily available . Staff excellent. It’s very near to Tsukiji daisy near just outside the building. Location was really convenient and room was just about right size for solo traveller. Room had a washing machine which was a nice bonus. Good location near public transport and very good food market and Resturants. 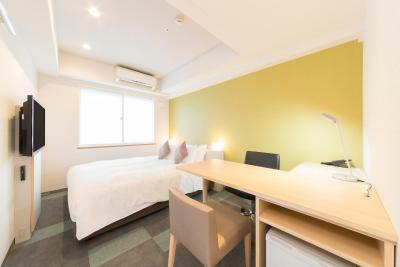 Located within a 5-minute walk from Higashi-Ginza and Tsukiji Subway Stations, Tokyu Stay Tukiji offers modern accommodation with free property-wide WiFi. 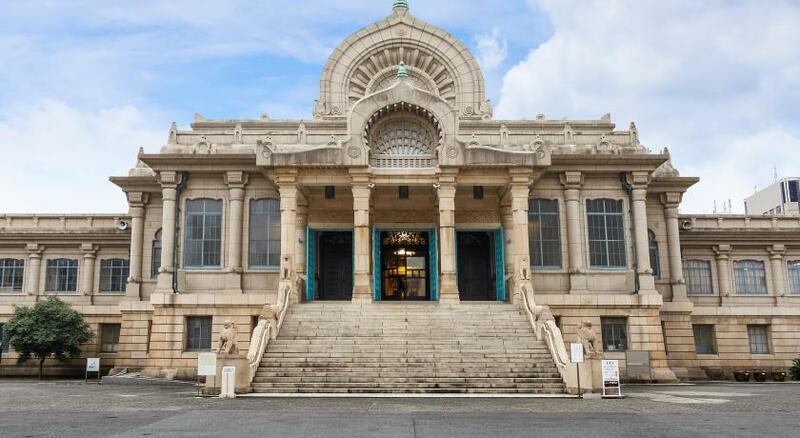 It is situated right in the middle of Outer Tsukiji Fish Market, lined with many sushi restaurants and seafood vendors. 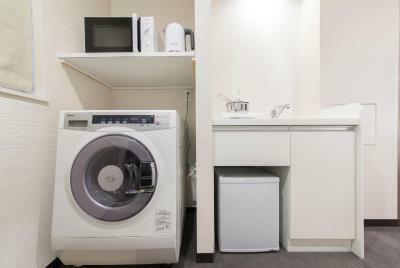 Some rooms come with a kitchenette and a washing machine. The air-conditioned rooms are equipped with a flat-screen satellite TV, a small fridge and a electric kettle. 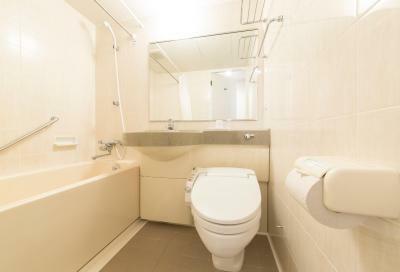 A hairdryer and toiletries are included in the en suite bathroom. The front desk is open 24 hours, and the hotel has dry cleaning services. Fax, photocopying and courier services are also offered. Luggage can be stored at the property for free. 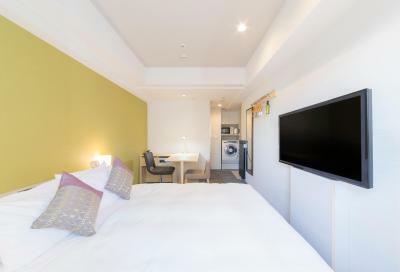 Tokyu Stay Tukiji is a 10-minute walk from the Ginza area and a 3-minute walk from the Inner Tsukiji Fish Market with bustling wholesalers. 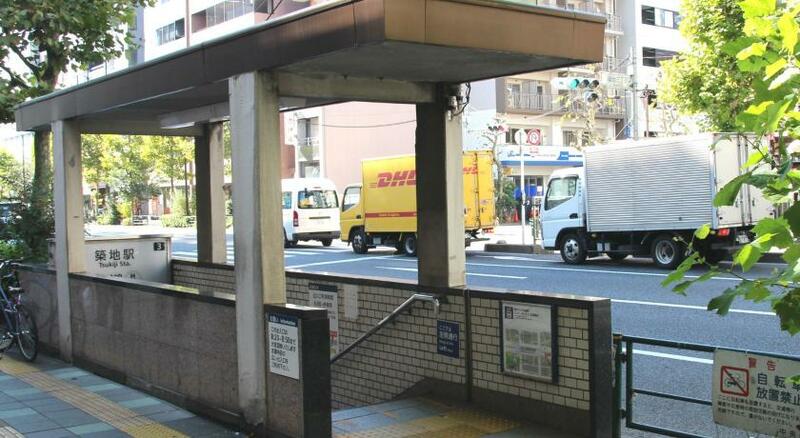 The nearby subway stations offer easy access to the Akihabara, Ueno and Asakusa areas. 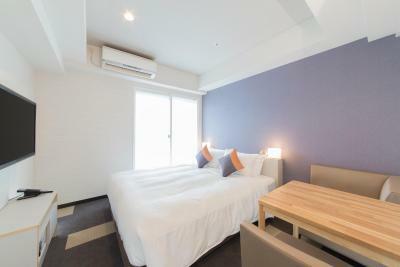 Tokyu Stay Tsukiji has been welcoming Booking.com guests since 8 Nov 2010. When would you like to stay at Tokyu Stay Tsukiji? This single room has a satellite TV, air conditioning and tumble dryer. This twin room has a satellite TV, washing machine and microwave. This double room has a tumble dryer, electric kettle and air conditioning. 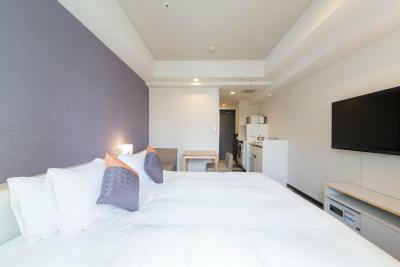 Hotel surroundings – This neighbourhood is a great choice for travellers interested in clean streets, city walks and food – Check location Great location - show map Guests loved walking around the neighbourhood! House rules Tokyu Stay Tsukiji takes special requests - add in the next step! Tokyu Stay Tsukiji accepts these cards and reserves the right to temporarily hold an amount prior to arrival. Charges apply for late check-outs. Please contact the property for further details. Location was great- close to shops, restaurants. Staff very friendly. Room was like any other hotel in Tokyo. 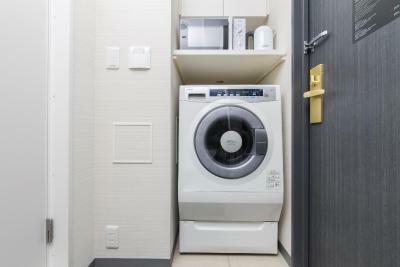 All amenities were included and washing machine in the room was the best. Breakfast was filling. Over all great stay. 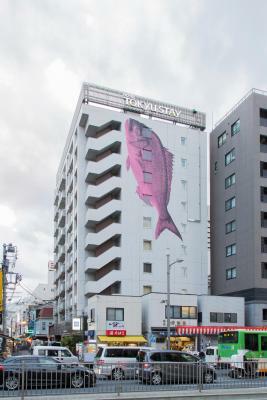 Just steps away from the famous Tsukiji market. We really enjoyed the convenience of strolling around the area and walking distancea to city center, Ginza. Also having washing machine and kitchenette so we can buy foods and eat them at night when hungry. Feels like at home! Couldn’t see out windows (no light). Dryer didn’t dry very well. Unfortunately inner market has moved to Toyosu. I am glad I had a subway map, so staff could direct me. First night, baby next door howled through their open door. Location. Washing machine in room very helpful. Wifi. Staff helpful. Room decor is a little aged and dusty. Also, they do not clean your room daily which explains the dust built up. A/C turns off and on. Disturbs sleep through the night sometimes. The staff was very helpful and kind. The room was big for my family of 3. I had the biggest room. Rooms on the small end but that is typical of Japanese hotels. My room did have a slightly funky smell, but you get used to after 5 minutes. Hotel isn't very close to JR Lines Stations either. 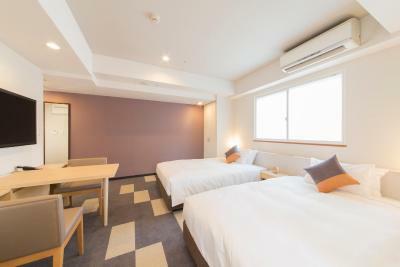 If you love food markets, this hotel is your dream - it's essentially in the Tsukiji fish market, but also close to metro lines to get around the city. Good soundproofing, nice and quiet in the rooms. The doors or walls are probably not isolated very well. If there were people walking or talking in the hallway, you could hear them clearly. But we we’re lucky we didn’t have noisy people around us. It was very clean and comfortable. Nice location as well. Staff were very nice and helpful. Would definitely come recommend this place.